Trees are pretty versatile. Not only are trees good for making paper, trees can also be used for reducing odors. This November, over 200 trees and shrubs were planted around the mill’s Aerated Stabilization Basin (ASB) in a design called a shelterbelt. A shelterbelt is a vegetative screen that decreases the concentration of odors downwind of the planting. As the trees grow to maturity, they will become more and more effective at reducing the offsite transport of odors from the ASB. Shelterbelts reduce odors in two ways. First, the physical barrier of the vegetation creates turbulence which leads to better air mixing. Second, the needles and leaves of the trees and shrubs have the ability to grab (or adsorb) odor molecules from the air. 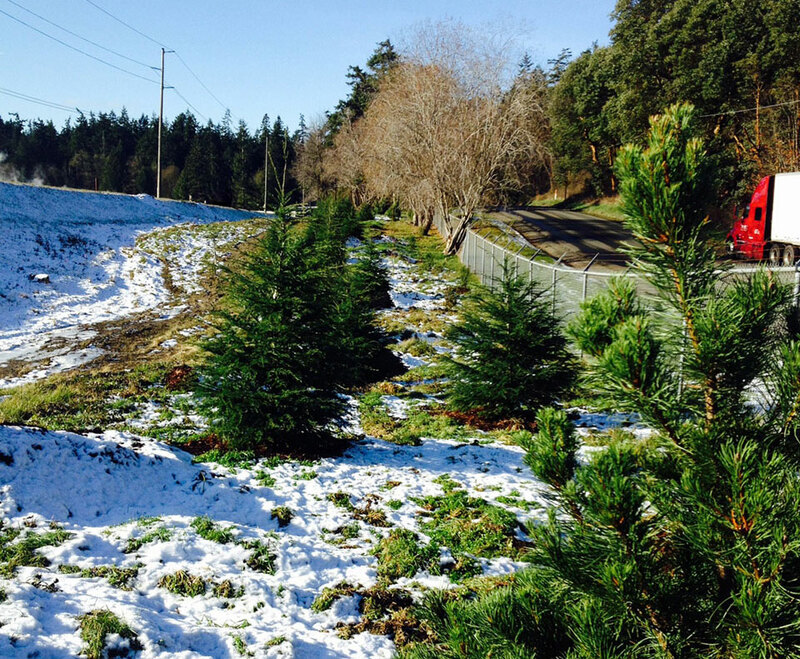 PTPC’s shelterbelt is a mix of native trees and shrubs that includes Douglas Fir, Western Red Cedar, Vine Maple, Western Hemlock, Pacific Wax Myrtle and others. These species were selected for their mature height, bushiness, use in other shelterbelt projects, and of course, deer resistance. In addition to reducing odors, the shelterbelt trees will also take up carbon dioxide from the air as they grow which reduces greenhouse gases in our atmosphere. Just one more benefit of planting trees!